It's patch time again! This time a bit smaller patch with some new content and a lot of fixes. We have exciting plans for patch 2.21 but before we started working on that update we wanted to roll out this patch to fix some issues and update some stuff! We would also like to remind you guys that we have created a special dedicated feedback section in our forums where we gather all feedback from you guys. If you have any feedback about the game, please go to http://playnewz.com/feedback and let us know! Updated the Turkish language pack. Added some missing translations. Fixed a bug with the VOIP server. Fixed some UI animation problems. Fixed a vehicle teleportation bug. Fixed a bug causing some people to not be able to join ping limited servers. Improved the overall quality of VOIP. In-game VOIP is much better quality now. Increased the airdrop de-spawn timer from 20 to 30 minutes in every game mode. Added a Chat System for players. Players are now able to chat with their friends and their created lobby. They can even message friends that are in any game playing. With the aim to a more "beginner friendly" New Z a chat system was/is definitively needed. Please note that we are still developing this chat system and more will come in time during future patches. With that same aim to a more "beginner friendly" New Z we have also added a tips system in the loading screens. Players will be able to read random displayed tips while being in the loading screen. These tips are random and we are adding new tips every now and then to make players more aware of different features or things they might not know about in the game! Fixed an issue related to the rusty container ship (used in the Oregon map) where players could look through some parts of the model. Created LODs for the flatbed train trailer model. Optimized the mesh and created a playeronly model for physics. Also fixed an issue where players were able to glitch inside of the model from a certain angle. Fixed an issue with the new Shane character where for some reason there was some vertices of the model of the legs not properly rigged. Fixed an issue related to the climber character where there was some materials missing in the game files. Added a new vehicle called: Tuk Tuk. This vehicle is a transport vehicle for around 3 people and very common in Asia. Items mentioned above might not be released instantly. If you want to stay updated with releases please follow us on our social media channels where we announce the release of new items. Added a new muzzle attachment for the snipers: Sniper Flash Hider. This is just like the normal flash hider (for assault rifles) but for snipers. This flash hider does not work for already silenced issues. Added a new muzzle attachment for the sub machine guns: SMG Flash Hider. This is just like a normal flash hider (for assault rifles) but for sub machine guns. This flash hider does not work for already silenced sub machine guns. Added a new muzzle attachment for the pistols: Pistol Flash Hider. This is just like a normal flash hider (for assault rifles) but for pistols. Added a new muzzle attachment for snipers: Sniper Silencer. This is a silencer just for snipers and is bigger in shape than the normal assault rifle silencer. This attachment can't be attached to already silenced snipers. This silencer has its own unique sound. Added a new muzzle attachment for shotguns: Shotgun Silencer. This is a silencer just for shotguns. This attachment can't be attached to the Double Barrel Shotgun. This silencer has it's own unique sound. Added a new armor: Heavy Armor Light. This is a lighter variant of the original heavy armor and is half as good as a normal heavy armor. We are not sure yet how/when this item will be released but it's mainly added for use in the Survival game-mode. Added a new media Riot Shield: Riot Shield Easy Dad. Added a new country Riot Shield: Riot Shield Bangladesh. Items mentioned above might not be released instantly. If you want to stay update with releases please follow us on our social media channels where we announce the release of new items. Fixed the Streamer Cap where in the description it says the hat does not offer any protection but the hat actually had a 10% protection. Protection is removed. Fixed the Streamer Cap Black where in the description it says the hat does not offer any protection but the hat actually had a 10% protection. Protection is removed. Fixed the Katana Frozen "auto" sound. It now loops properly when holding down the mouse button to "auto melee". Fixed the VSS Vintorez auto sound. It's actually synced up with the shots now. Updated the description of the Bullet Compensator. This attachment also increases the range of a weapon and that's also mentioned in the description now. Updated the description of the Heavy Barrel. This attachment also increases the range of a weapon and that's also mentioned in the description now. Also added the damage reduction information to the description. Updated the store icon of the flash hider attachment. This is to match the upcoming new barrel attachment icons. Updated the store icon of the pistol silencer attachment. Updated the store icon of the silencer attachment. Updated the sub machine gun muzzle attachment group. Sub machine guns now have their own muzzle attachment group meaning you can no longer attach assault rifle attachments to these weapons. Updated the store icon of the QLB (sniper) to match upcoming and current skin rendered icons. Also updated the Fun Edition one. Updated the stats of the FN FAL back to how they were at patch 2.19. Community didn't like the stats of patch 2.20 so we have decided to revert these changes. Updated the stats of the VSS Compact back to how they were at patch 2.19. Community didn't like the stats of patch 2.20 so we have decided to revert these changes. Updated the store icon of the VSS Compact. Fixed a texture issue related to the light sword cross rainbow skin where the texture was yellow instead of rainbow. Fixed a texture issue related to the light sword twin rainbow skin where the texture was yellow instead of rainbow. Updated the store icon of the gold skinbox to make it look better and more realistic. The new PKM Ammo (200) Box is now confirmed to be spawning from random airdrops and super zombies. NOTE: Some loot changes mentioned above have been executed already a while ago but for those who missed the announcements we are readdressing it on the next upcoming patch notes. Optimized and improved the lights. Changed the type of the lights so they look and act the same but are more optimized giving players more FPS. Lights in the trading lounge now turn off when it gets day time and on when it turns night time. Added a "Disco Barn" to the lounge. Definitively go and check out this barn cause it's hilarious and worth a dance! The loot has been fixed. It now is how it was before patch 2.19 rolled out. Improved the color of the fog. Fixed the random airdrops sometimes being empty. This shouldn't happen anymore. Fixed an issue related to the alien super zombie. This zombie now drops 2 items instead of 1. Loot should also be better. Enabled group damage in Survival. Decreased the can of soup item spawn rate. Vehicles are now a bit less common. This is mainly done based on feedback from the community as a lot of people were abusing the vehicles to kill players. In this sense vehicles could be very overpowered. We do plan on adding more countermeasures for vehicles though. Night time is now darker due to request from the community. It's more scary plus it makes more sense to use NVG's now. Bus stops are not on Oregon anymore as they never were intended to be. When we add more safe zones bus stops will come back but only in safe zones. Alien Super Zombies are now enabled on this map as well just like in Oregon. Arena is now back as a Battle Royale map. We have reworked and fixed the map and we will enable this map again in the future probably with some kind of event. Attachments now auto-attach in the Battle Royale lobby. Battle Royale's now start with 20 players instead of 30 players. Battle Royale's will now also start faster if a lot of people join faster. Airdrops are now more common in Battle Royale. Players are now able to, when playing solo, only join solo Battle Royales. Solo and Grouping is now split. Players that create a party and join a Battle Royale game will now play to others who are partied up as well separated from the solo players. This has been a huge demand from our Battle Royale community and we hope this can improve the game mode. Patch ETA: Patch will roll out around 10:00 AM (CEST) at August 2, 2018. Estimated downtime: 30 minutes to 1 hour. Enjoy this (smaller) patch this time guys! Let us know if there is anything wrong or if there's anything you'd like to share! Should be fixed this patch yes! Thanks for your help in pointing out the issue. Can you let us know if it still happens after this patch is released? Thank you so much! @Sven Can we announce in the title of Stream the coming of the new Patch? can someone explain it to me in reasonable way? adding OTS wasnt a good move, silent snipers doesnt improve the gameplay on big maps. Los vehículos ahora son un poco menos comunes. Esto se ha principalmente en base a los comentarios de la comunidad, ya que mucha gente abusaba de los vehículos para matar a los jugadores. En este sentido, los vehículos podrían estar muy dominados. Sin embargo, planeamos agregar más contramedidas para vehículos. @Sven Nice. However, I do not see any explanation about why there was a need for such a drastic reduction in the zombie population. Also, adding a new vehicle while the others still have control issues is just asking for more problems. I do like the adding of the silencers for all weapons. This makes sense. Yes, I'm still here, and I will keep bringing up the issues that I have been talking about for a very long time. You know what they are by now. Much respect guys. I know you can make this work. If you're talking about Colorado: this fix is already live on privates and will be live on ALL servers when this patch is rolled out. If you're talking about Oregon. We are / were aware and have fixed it in this patch. Wait there is now a silencer for all sniper refiles? or did i read that wrong? if so rip. and yes finally a solo mode for BR i can play it now without been overwhelmed by a team of 3,However im more interested to hear what you guys are going to do to punish those teaming in solo mode because its going to happen so the consequences need to be strong,Not a 24 hour ban make it more like a week. We think that the first step in the right direction is this separation where solo players play against other solo's and grouping players play against other groups. We are aware of the "issue" about players grouping and we are pretty sure it will still happen even after this change but at least this can be a push in the right direction making things better. We have considered to add the tab-list back but as of right now that would be a big change (we rather try this first). We are looking into ways for players to still be able to report anyone and not just the person who happens to kill you. Stay tuned for this. 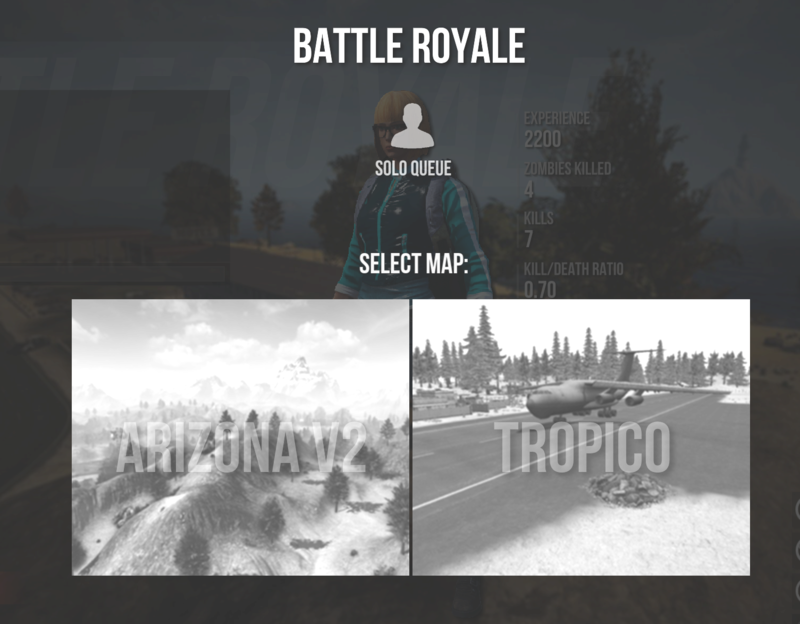 To cover up with the separation we are now able to disable and enable new / different maps for battle royale LIVE. This means, if the separation makes it harder for Battle Royales to start, we have options to for example jump back to 1 map instead of 2. Something cool regarding this as well is the Arena map that we've reworked that will come back somewhere soon probably with some kind of event. I hope this gives you a more in-depth answer! Don't hesistate to just ask if you have any further questions or comments! Less vehicles and no bus stops on Oregon? On a huge map thats already hard to navigate with low populations in its current state? RIP Oregon survival... if you think the populations are low now this is going to kill it, especially those looking for action.